Whatever it is, one thing is certain, it will be substantial, says Dr.Kriengsak Chareonwongsak, a former MP in Thailand and a noted economist, who taught economics at Harvard and Oxford for almost 30 years. Current estimates run between $6 and $7 billion but it could be more once all the costs are factored in. There are two main reasons for this, he says: First, the lengthy time period involved with this flood; and second, the extent of the damage it has already done in the country. For one thing, households will need to renovate. Appliances will need to be either repaired or replaced. And in the industrial sector, the flood has already taken its toll – seven plants so far. Machinery will need to be replaced and this will take time to order and install, to clean up the factories generally and get the whole system running again. Most are likely to have insurance to recover their losses – with rather serious repercussions for the insurance industry. Thailand’s tourist and spa industry – the country’s bread-and-butter income earner – has also been caught up in this calamity. “About 15 million people come to Thailand every year. But with these and other tourists hearing about the flooding in Thailand continually on CNN, the BBC, Aljazeera TV and other international outlets could cut the number of tourists who traditionally come to Thailand, especially during the peak period in the next few months. The next few days will tell the tale. That’s when the flooding will crest and Bangkok will know exactly just how bad it will be. Many people are disgusted with the way things have been handled, with much of the criticism directed at Prime Minister Yingluck Shinawatra, who is increasing being perceived as inept, indecisive and inexperienced. For the thousands who have been uprooted, there is a mind-numbing emotional toll as they try to come to grips with the loss of their homes as well as loss of income by being thrown out of work by the flood. Could the prime minister have done things better? Probably. But that’s 20/20 hindsight and keep in mind there is no template to guide anyone in the case of a once-in-a-lifetime calamity of this magnitude. 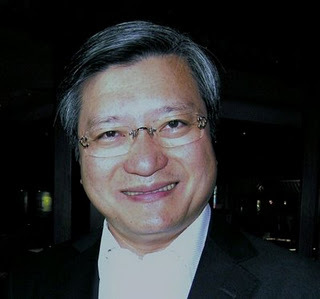 Dr.Kriengsak Chareonwongsak, a former MP in Thailand and an economist of some note, agrees that she is a novice in politics and only recently came into power – without the customary honeymoon enjoyed by a new prime minister and cabinet – and landed smack into the middle of trying to manage one of the worst natural disasters Bangkok has ever seen. Peak time is between Oct. 28 and Oct. 31. After that, he says, it will likely take a month before things get back to normal. Meanwhile many planned events have been cancelled or postponed, like the Thailand Health and Beauty Show 2011, which has been postponed to January 2012. Business is at a standstill. Many tours coming to Bangkok have already been cancelled while others have been diverted to resorts in Pattaya, Koh Samui, Krabi, Phuket and in the north. Dr. Pakpilai Thavisin is president of S Medical Spa and MD, esthetic dermatology and anti-ageing medicine Dr. Pakpilai created S Medical Spa six years ago to offer a haven of serenity where Western Medicine is combined with Eastern therapies for a one stop service for optimizing your health, appearance and well-being of both body and mind. Colon hydrotherapy or colon detoxification is one of the most popular detoxification methods practised by many. It is the most effective way to remove toxins from our body. It helps eliminate the waste materials that have been accumulated in our digestive system over many years. Most of the waste stuck comes from what we eat every day. Of course our lifestyle does influence how our body looks on the inside. For instance, if somebody eats a lot of junk food and drinks alcohol regularly, the waste stuck in his/her bowel will be far more considerable than the waste stuck in the digestive system of somebody following a raw food diet, rich in fiber with no caffeine or dairy products. We refer to the waste stuck in our colon as mucoid plaques, these plagues are toxic substances that stubbornly stick to our linings of our intestinal wall. Our daily excretion of waste does not help removing those plagues. The problem of having this waste stuck in that area is that the toxins are reabsorbed back into our bloodstream. Once in our bloodstream they can cause inflammations such as acne, migraines, allergies, painful menstruations and even muscle and joint pain. Colon hydrotherapy is the ultimate most effective treatment to safely remove these toxic substances from the colon. Once the body is purified, it will help improve the complexion, restore internal energy and balance over-all health, making you feel refreshed and revitalized. Detoxification programs should always be under close supervision of a doctor and a registered specialized nurse. The programs normally start, besides the consultation with the doctor, with aroma herbal steam, a soothing treatment for skin and respiratory detoxification. After the colon hydrotherapy the patients feel fresh, light and look forward to repeating the experience. At S Medical Spa they combine colon hydrotherapy with a range of detoxifying spa treatments for a whole body detoxification experience. If you have muscle or joint pain, migraines, acne or skin problems, digestive problems or allergies think about colon hydrotherapy. 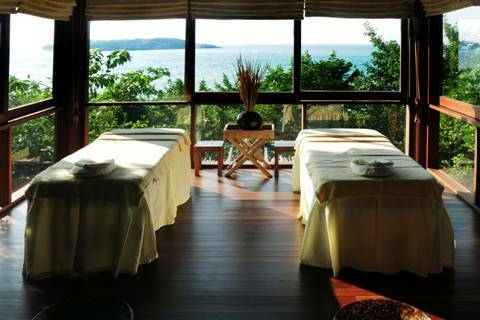 Six Senses Spa at Koh Samui has received the Condé Nast Traveller Readers’ Award as the Best Spa in the Overseas Hotel category. It was also among three Six Senses properties included by Condé Nast in its World Top Experiences category. The other two Six Senses properties were Soneva Fushi and Six Senses Spa at Soneva Gili. Six Senses Samui has 66 luxury villas with great views as well as an extensive menu of holistic and traditional treatments and de-stress and lifestyle programs. The Condé Nast Awards are highly regarded in the spa and travel industry. Six Senses first annual Water/Wo/Men fundraiser is support of global water conservation also had some light moments. Most days were long with plenty of meetings and hearing from some of the best in sports, conservation, non-profits and corporations but there were also some light moments as well when Beth Orton, Daryl Hannah and Rami Jaffee gave impromptu performances during the week at the Chill Bar and a memorable sunset beach jam involving Maldivian musicians on local drums at the finale “Barefoot Ball” evening. 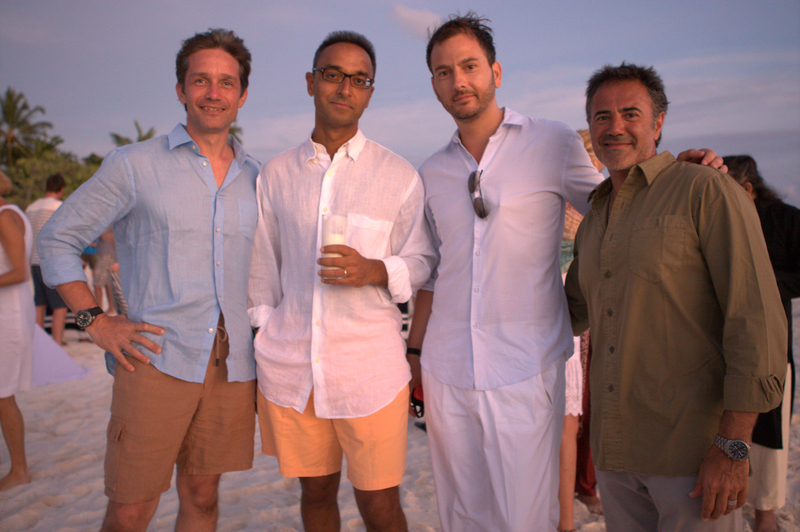 The event was held at Six Senses’ new Laamu Resort, the only resort on the remote Laamu Atoll, 150 km north of the equator and known for its ultrafine soft sand. The Water/Wo/Men fundraiser is the partnership between Six Senses and +H20 – a platform for water awareness to create solutions that facilitate positive change on a local to global scale. Proceeds from the event will be donated to three key marine charities – Water Charity, Plant A Fish and the Blue Water Foundation. The Blue Water Foundation will place the proceeds from the event into the Baa Atoll Conservation Fund to manage the UNESCO Biosphere Reserve. SALA Phuket Resort and Spa has received the 2011 Excellent Labour Welfare Award from Thailand’s Department of Labour. To achieve the award, SALA Phuket employees had to demonstrate their ability to work effectively with management in creating and implementing polices to advance employee welfare in such areas as fire prevention, fire-fighting, English language and creating a pleasant working environment for employees. SALA Resorts (www.salaresorts.com) is a home-grown Thai hospitality company, which owns and operates three spas in Thailand with plans to further expand in Thailand as well as internationally. 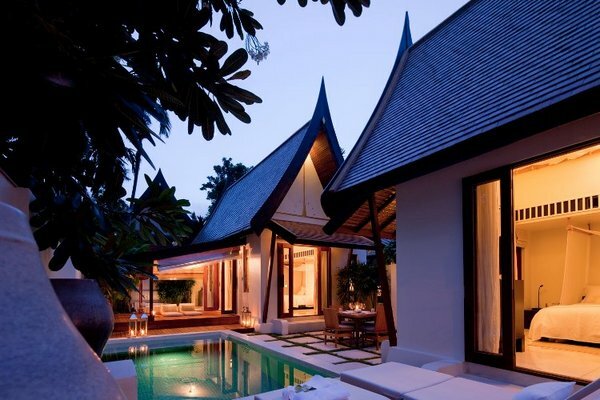 SALA is also the majority shareholder in Six Senses Hideaway in Phuket. The world will face even greater recessions – unless much more is done to encourage the development of renewal energy. Speaking to the third annual Six Senses’ SLOW LIFE Symposium at Six Senses Soneva Fushi in the Maldives, Dr. Richard said governments need to provide additional incentives to support the adoption of renewal energy sources. In his own case, he noted that Virgin has been diverting its profit from its airlines into developing fuel for aircraft that won’t damage the environment. He called on European aviation authorities and airports to do more to reduce the aviation industry’s energy emissions, calling the climate change battle “the biggest entrepreneurial opportunity of our lifetime”. Other Symposium speakers included President Nasheed of the Maldives, Hollywood actors and environmental campaigners like Daryl Hannah and Edward Norton. Mark Lynas, climate change adviser to President Nasheed, described the Maldives as the “perfect test bed” for cutting-edge technologies and said that the country was perfectly placed to lead the world to a low-carbon future, adding that companies from all over the world were coming to the Maldives to test renewable technologies. The Maldives, he went on, “intends to be the master of its own destiny – from victim to victor – that going carbon neutral is good for the economy. It is the engine of growth. 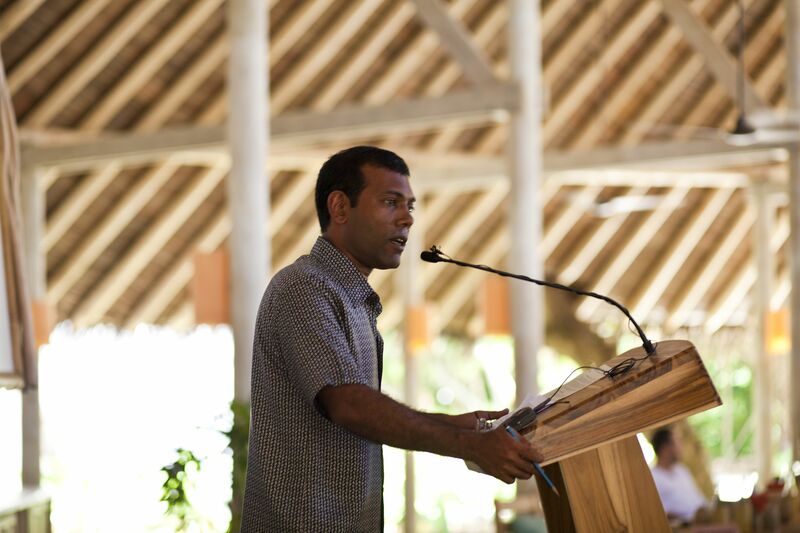 The Maldives has made significant progress since last year in beginning the move towards becoming the world’s first carbon neutral country, said President Nasheed, who outlined several areas in which the Maldives government has made substantial progress. These include: Publishing the new carbon neutral electricity plan online and inviting ‘crowd-sourcing’ comments from experts worldwide. Committing to a new target to generate 60% of electricity via solar power by 2020, and reducing electricity emissions by 80% without putting up the cost of power to consumers. Signing the first contract under the new ‘feed-in-tariff’ between the state electricity company and a Male’ hotel chain to supply solar power onto the grid. A new import regime by the Transport Ministry to ensure that in future electric cars will be a third of the price of conventional petrol cars. New policies to encourage the uptake of renewable energy and marine transport. The pledge to spend 2% of national income on renewable energy deployment in the country. Sonu Shivdasani, CEO and chairman of Six Senses, said that Soneva Fushi would be decarobonizingby 2013, with the remaining six Senses resorts following by 2020. If weight loss is on your mind, Anantara Si Kao has come up with a fresh approach that includes a fresh approach that includes a detox program, naturopathic consultations, a body fat analysis and even new weight watch meals. The Anantara Si Kao Resort and Spa offers three personalized programs at its Wellness 360 retreat. The three programs – four, five and seven-day personal wellness retreats; one, four, five and seven-day body detox escapes; and five and seven-day body detox weight watch escapes – are available from now until Oct. 31. 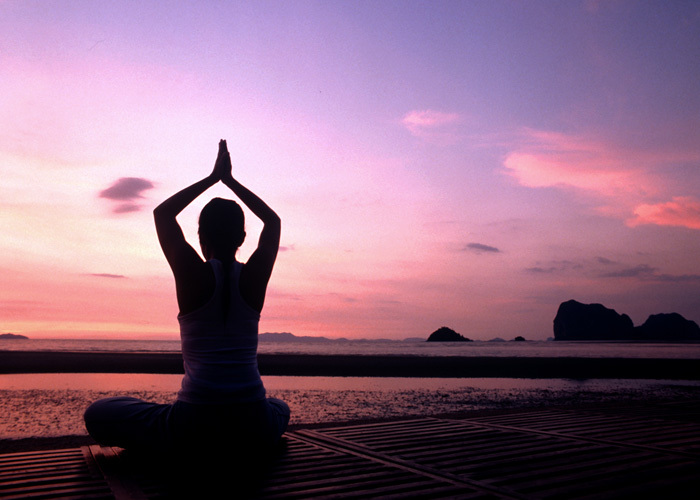 The personal wellness retreats include a private consultation, body composition analysis with a naturopathic doctor; wellness meals; naturopathic and wellness 360 signature massages; herbal steam baths and saunas; banana leaf bath and moor mud bath therapies plus motivational yoga sessions at the beach. The body detox escapes include a blend of ancient wellness and nature’s healing wisdom; a private detox consultation and a body composition analysis with a naturopathic doctor; daily detox meals; a choice of detox massages or wellness treatments; traditional detox treatment; Indian Head massage; and a detox salt scrub. The weight loss program moves beyond a fat-burning approach by addressing mental and spiritual imbalances; consultations about your holistic state of health; weight watch and body fat analysis. Six Senses, a major force in sustainable development, has added another project to its growing list of activities. The list includes Hollywood actors Daryl Hannah and Kate Bosworth; British singer Beth Orton; German actor Michaela Merten; Foo Fighters keyboard player Rami Jaffee. The event, the first annual Six Senses Water/Wo/Men fundraiser that runs from Sept. 30 to Oct. 4, will be held at Six Senses Laamu, the only resort in remote Laamu Atoll, 150 km north of the equator. Also playing key roles – Jon Bowermaster, Favien Cousteau, Mitali Kahur, Carl Gustaf Lunden, Chris Gorell Barnes, Dr. Jacqueline Chan and Averill Strasser; iconic surfers Bethany Hamilton and Layne Beachley; windsurfers Levi Silver and Keith Teboul; kite surfers Mark Shinn and Alex Caizergues; extreme wake boarder Duncan Zuuc. Conservationists will lead dialogues and debates on the most pressing marine and drinking water issues facing the world today. 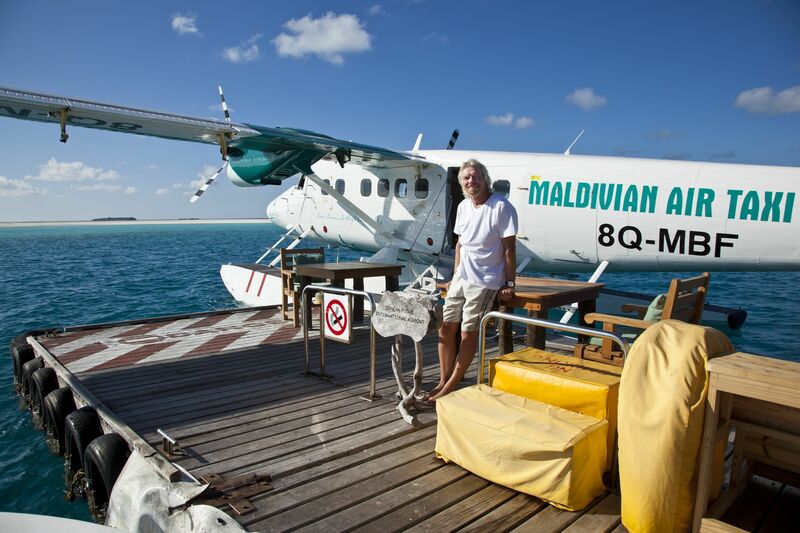 “Global industrial growth, most of it very far away, has brought the Maldives to the front line in the battgle against rising sea levels,” said Sonu Shivdasani, Six Senses chairman and CEO. “What happens to the Maldives and its 400,000 inhabitants may foretell the future of coastal regions of coastal regional around the globe. That is why events such as Watermen are so vital.